Skip the socks and the mugs for the old boy. This year, do Father’s Day a little differently with the help of our retailers in South Edmonton Common. Featuring over 160 retailers, there’s always something for everyone! It’s time to upgrade dad’s golf game with new drivers. 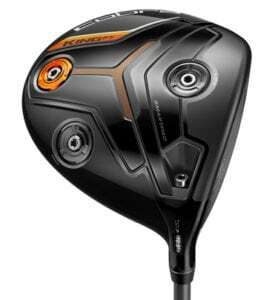 Save up to 50% off from Cobra King F7 drivers during the Father’s Day Sale at Golf Town in South Edmonton Common. The F7 driver allows golfers to automatically track the distance and accuracy of every drive, while providing three different center of gravity settings. Drones have become the hottest tech gadget on the market. Best Buy in South Edmonton Common offers beginner, intermediate, and professional drones so dad can capture incredible aerial footage wherever he pleases. 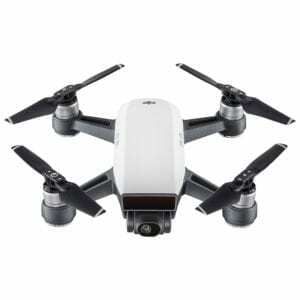 The DJI Spark Quadcopter Drone with Camera (pictured) features a top speed of 50 km/h and a capable 12-megapixel camera ready to shoot pictures. Dad needs a break too. Whether it’s a brow wax or a retreat package, your dad deserves to be pampered at EvelineCharles in South Edmonton Common. They offer a wide range of men’s treatments and hair services done by professionals so you know dad will have a good time. Don’t know what dad might like? Give him an EvelineCharles gift card so he can choose what tickles his fancy. Is your dad a fitness buff? If so, get him the fitness tracker he deserves from MEC in South Edmonton Common. 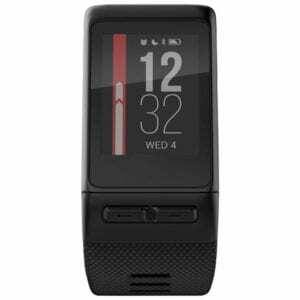 Meet the Garmin Vivoactive HR GPS Smartwatch packed with features such as an optical heart rate sensor, an integrated GPS receiver, pedometer, and Bluetooth connectivity. The Garmin Vivoactive HR GPS Smartwatch comes with a sleek design so your dad won’t have to worry about looking wacky at the gym, and it’s water-resistant up to 50 metres. What do you have planned for Father’s Day this year? Let us know on our Twitter!